"Tis the season for making merry, sharing food and drink, and giving presents of the more spirited variety. If you have an adventurous wine or beer fan, perhaps give them MIDAS TOUCH, an entry in Dogfish Head's Ancient Ales. Sweet, dry, and tasting of a mix between wine and beer, the recipe was uncovered from ingredients in 2700 year old drinking vessels. With the help of biomolecular archaeologist Dr. Patrick McGovern, Dogfish Head is crafting beer that is so old it's new again. There is a whole lineup of Ancient brews. 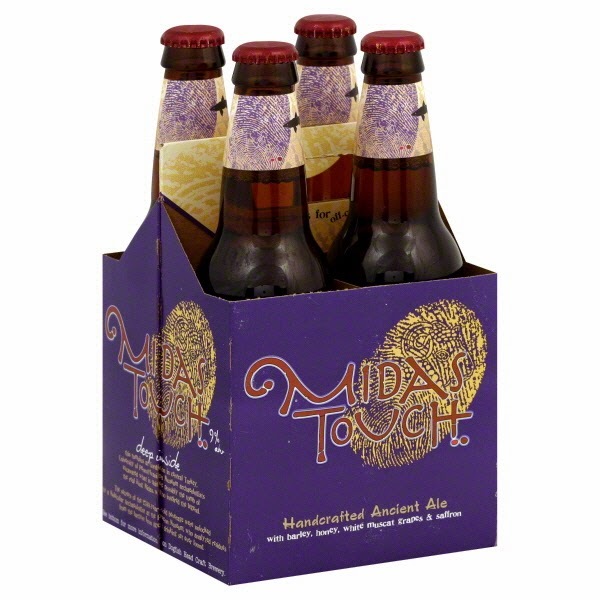 Most are in limited release but Midas Touch is more widely-available. I would caution though, do not put it in the fridge or try to chill it. I made that mistake the first time I tried it. All I could taste was grape until it warmed up a bit. The second time I drank it at room temperature and found it really smooth and quite tasty. If you are looking for something a bit out of the ordinary, give Midas a try. Also, be sure to read Dr. McGovern's account of the excavation of Midas' tomb.